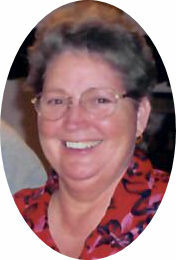 Wanda F. Sowers, 75 of Convoy, died at 9:01 p.m., Tuesday April 9, 2019 at Van Wert Health. She was born on July 19, 1943 in Pathfork, Kentucky, the daughter of the late Millard D. and Thelma Faye (Valentine) Saylor. On December 8, 1962, she married John J. Sowers, who preceded her in death on December 1, 2008. Wanda was a homemaker. She was a member of Trinity Evangelical Lutheran Church in Convoy, and a graduate of Crestview High School. Family survivors include her son and daughter-in-law, Randy L. and Lesley Sowers of Van Wert; daughter, Beth A. Wright; brother, Jonny (Tami) Saylor of Marshall, Illinois; sister, Ruth Ann (Gale “Rudy”) Matthews of Ohio City; and five grandchildren, Johnathan, Sam, Ryan, Evan, & Leah. She was preceded in death by her brother Wendell Saylor. Memorial services are scheduled for Saturday, April 13, 11:00 a.m. at Cowan & Son Funeral Home, officiated by Rev. Bud Walls. Visitation is scheduled for Saturday from 9-11a.m.. Burial will be at I.O.O.F. Cemetery in Convoy, Ohio. Memorial contributions to the Gideon’s International or the Family to aid with funeral expenses.